"What it Means to be Perfect"
Roy Masters, the host of the national talk radio show, Advice Line, returns to Sunday Conversations to explore “What It Means to Be Perfect.” This free-wheeling talk covers not only the subject of your being perfect (or not); it explores what you may not be aware of regarding your feelings and emotions. 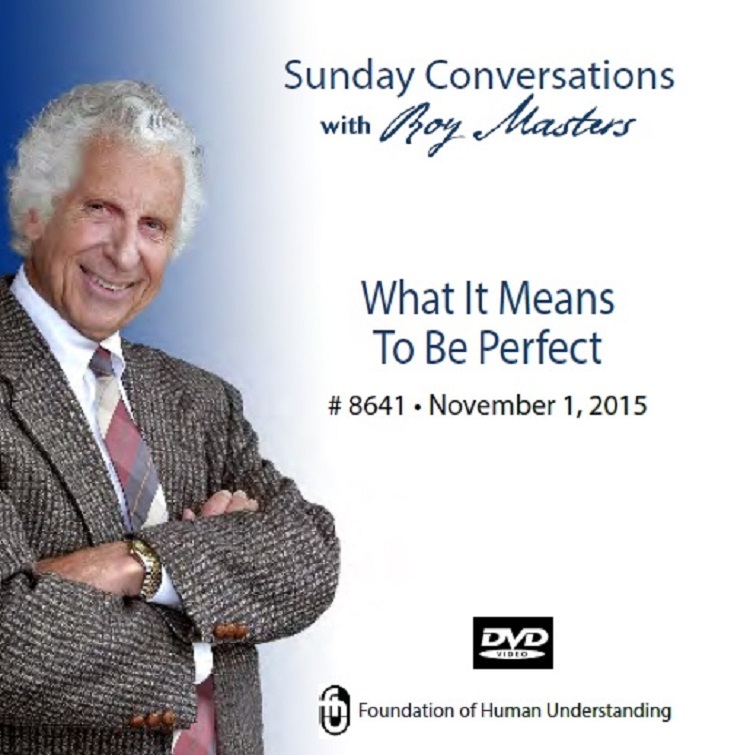 Roy sorts out some of the most basic aspects of what drives your life. He talks about stress. What is stress? You can count on being surprised at the answer. If the news of the world concerns you, you’ll welcome the advice on how to ready yourself for what lies ahead. You’ll hear how intuition can play a part in your life you may have never considered. Intuition is another subject about which there is much confusion. Get set for some clarity. A decision-free life may have some real meaning for you.